Dan and I just heard about a fun tourist spot an hour away from Brasília. We are much too busy to go now, but the thought of being able to travel there after this hectic semester puts a spring in my step. 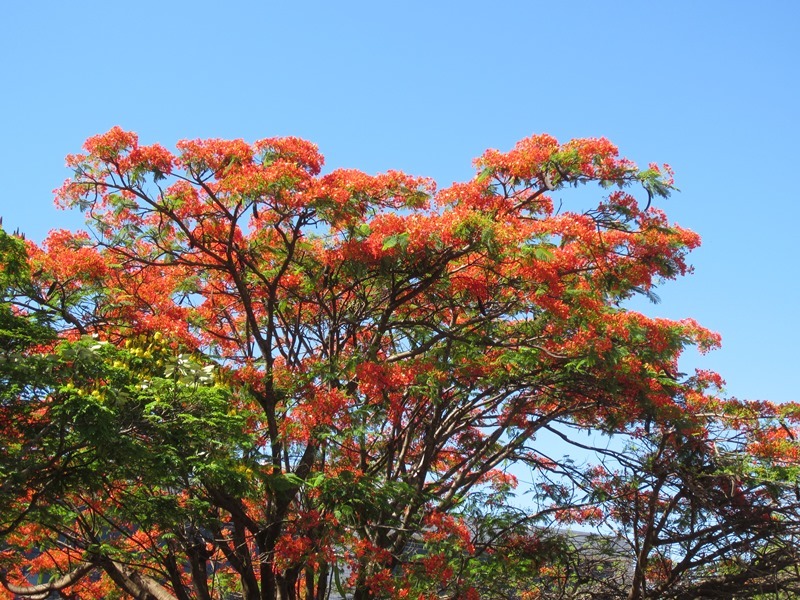 The Flamboyant tree in front of the American school was looking dry and dead last month. But after three very short episodes of rain it has burst into gorgeous bloom. It’s almost as if the promise of the upcoming rainy season was enough to get it going. Dear Friends. Thanks for the upbeat devotional. What a treasure we have in the promises of God Sincerely, Bob.